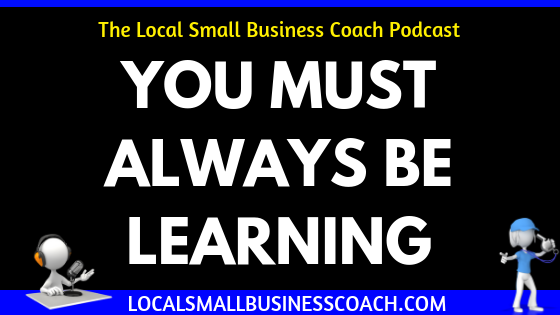 Local Small Business Coach | Improve Your Profits & Sales: You Must Always Be Learning & Taking Action! You Must Always Be Learning & Taking Action! BONUS EPISODE: Today I want to share with you some of my thoughts on why you need to take advantage of the different resources that are out there for you to learn and grow. More importantly to take action and make a difference!